The Tory Transport Secretary got a taste of what its really like to be a commuter today when his policy launch descended into a PR nightmare straight from the Thick of It. 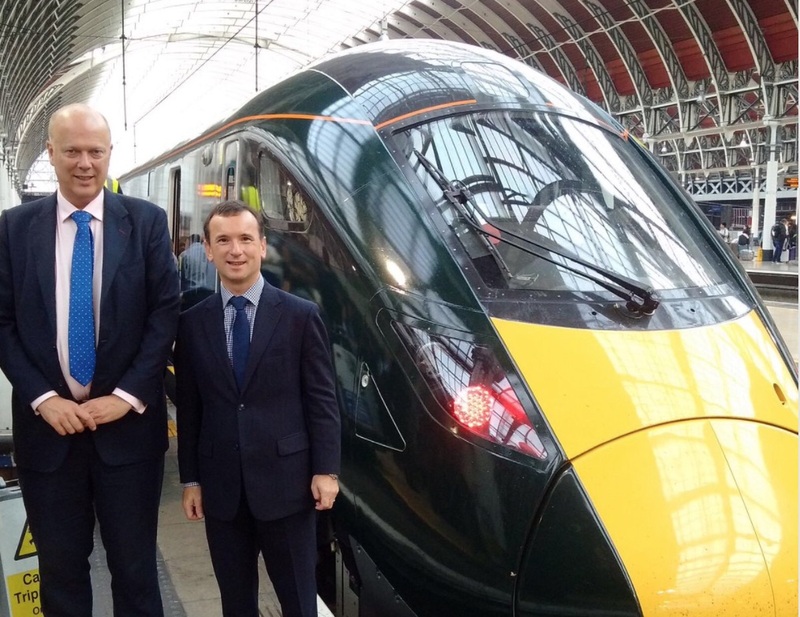 Chris Grayling launched a new fleet of trains on the Great Western line and boarded the first service – the 6am from Bristol Temple Meeds to London Paddington – to mark the occasion. First, the departure was delayed by 25 minutes and it then broke down 22 miles outside London, according to Independent travel writer Simon Calder, who was also on board. The service eventually arrived 40 minutes late, but only after causing significant rush-hour delays for other trains on the route. Tory Wales Secretary Alun Cairns (pictured right) was hoping the launch of the new trains would help people forget about the Government’s decision to cancel rail electrification to Swansea. But the first new train due to depart from London for south Wales was cancelled. Passengers on new trains that did run not only had to put up with delays, but [there were other ]faults like a leaking air conditioning unit [and] there was still no more space. Even Tory ‘improvements’ make things worse.